After the “Sixty Minute War” plunged Earth into chaos, humans were forced into a new way of life, developing technology to enable cities to move across the globe in search of smaller town prey to consume. 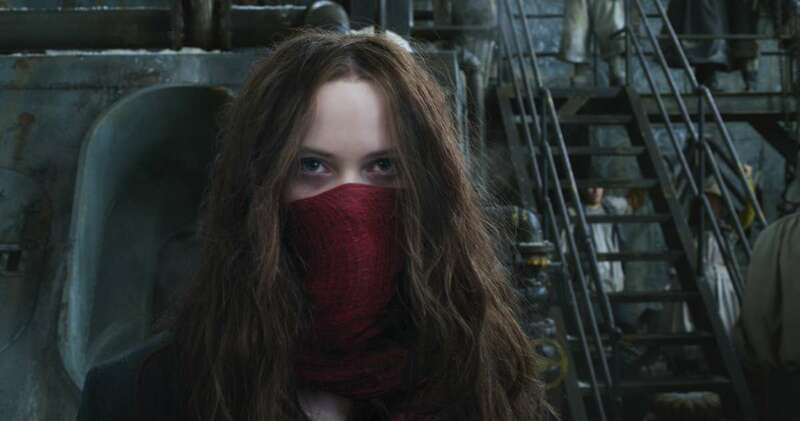 Cue Municipal Darwinism, survival of the strongest and fastest cities, the chilling backdrop of the 2001 novel Mortal Engines by Philip Reeve. A film adaptation has long been in the pipeline with Peter Jackson – not one to shirk an epic fantasy – as producer. The story follows lowly London apprentice Tom Natsworthy (Robert Sheehan) and the mysterious scar-faced Hester Shaw (Hera Hilmar), who are thrown together by fate when expelled from the speeding city of London by explorer “hero” Thaddeus Valentine (Hugo Weaving). Cast into the wilderness, they’re hell-bent on revenge but the stakes are high when they find cyborg bounty hunter Shrike (Stephen Lang) on their trail. They must avoid Shrike and find a way to disrupt London’s power-hungry plan to use a secret weapon that threatens untold destruction. In a world where the heroes and even the cities are far from immortal, it’s all about survival – and what Tom and Hester must do to achieve it. A predator built from ruins, the great moving traction city features levels based on the class system and is topped by a reconstructed St Paul’s Cathedral. After the Sixty Minute War, it was inevitable that some would turn to the sky for safety. Airhaven’s a lively airship hub, delicately hidden amongst the clouds.